Switch your geek mode on. In case you haven't noticed yet, we've all been geeking out over the geek trend recently. 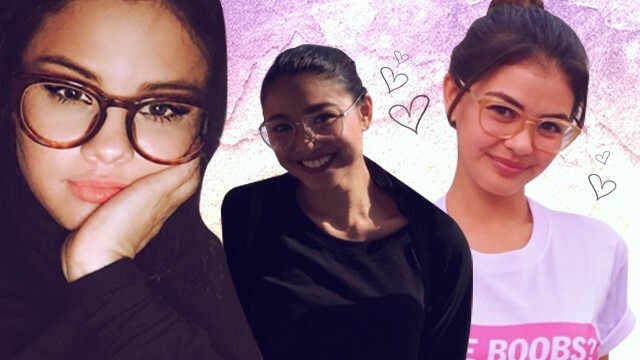 While there are many ways to channel your inner nerd (read: patches, unconventional layering, quirky accessories), the obvious and most effective way to switch your geek mode on is still to sport your favorite specs—with style, that is. Because you see, making geek look chic is no rocket science. Spice up your basic tank top, jeans, and sneakers combo by throwing in a tailored piece to the equation. 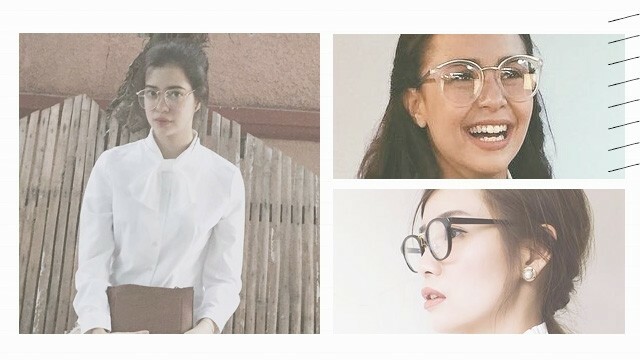 Then, like Maxene Magalona, give it a nerdy twist and finish off your outfit with black-rimmed glasses. Yassi Pressman's laid-back OOTD included her geeky specs, which she wore with a strapless striped top, drawstring shorts, knitted cardigan, and a pair of loafers. For Martine Cajucom's "back to school lewk," the It girl experimented with different shades of green for her plain tee, printed trousers, and leather backpack. After which, she completed her OOTD with a beauty from Sunnies Specs. 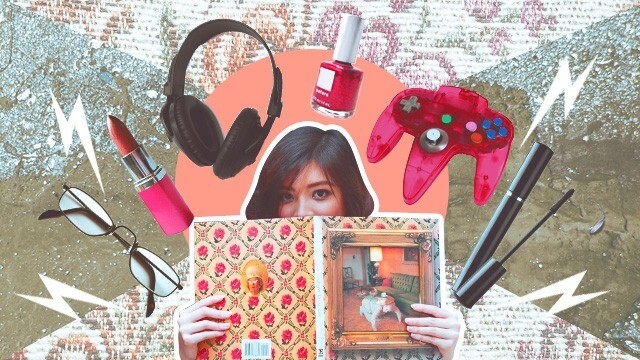 Trasienne Estrada calls herself "unapologetically dorky," and we love her for it. Not to mention she just set the bar high for pajama dressing. 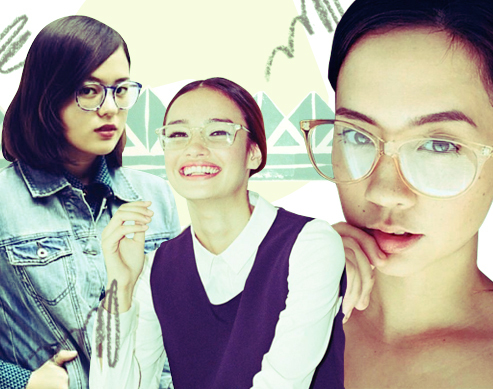 Your specs can also give extra flair to your #TeamCozy outfit. Check out Tricia Gosingtian in her boxy turtleneck top, knee-length skirt, all-white adidas Superstars, and silver-rimmed glasses. Elisse Joson gave her casual look an edgy yet geeky spin. Her fashion formula: black jeans, lace-up sneakers, basic white tank top, light-washed denim jacket, a choker necklace, and a pair of specs. How about a more feminine take? Take a cue from Jackie Rice who injected a dainty flavor to her OOTD—ripped jeans, sneakers, and glasses—via an off-the-shoulder lace top. Now it's your turn! How do you make geek look chic?